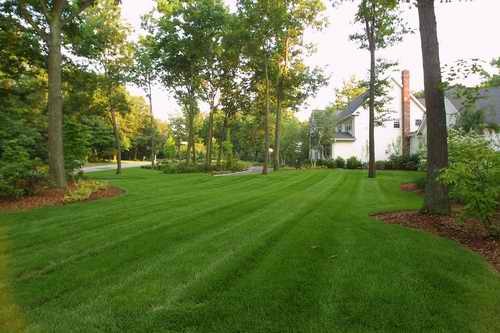 Cincinnati Landscape Maintenance Service offered by Cincinnati Landscaping LLC. Maintaining your entire outdoor environment is our specialty. Planting beds, lawn, trees, shrubs, sidewalks, driveway, patios and the exterior siding or brick all fall under our "Total Landscape Care" (TLC) service. Much like a property manager looks at each facet of your property, we take responsibility for the exterior appearance and functionality of your property. All of these services are included in our comprehensive TLC program or ala cart as requested. It is our goal to offer our customers, the most comprehensive service available anywhere in the Greater Cincinnati area. The TLC program is offered year round. 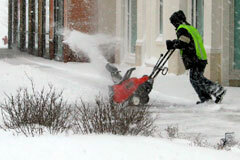 Spring, summer, fall and winter services are available. We also offer vacation services if you are planning on being away from home for a few days or a few months, we can step in and take care of everything outside while you're gone. We are eager to serve you and want to earn your business, give us a call to find out about how we can tailor a program to fit your needs. Our staff is eager to assist you in developing a plan to care for your property. 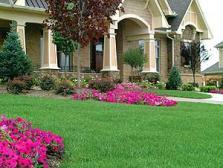 Obviously there are many other services that Cincinnati Landscaping LLC offers that can be added to a TLC program. Drainage services, basement waterproofing, gutter and downspout replacement, landscape installations and modifications, and fence repair and installations. Our goal is to be one point of contact for all of your outdoor service needs, freeing your time and energy to enjoy life to the fullest.